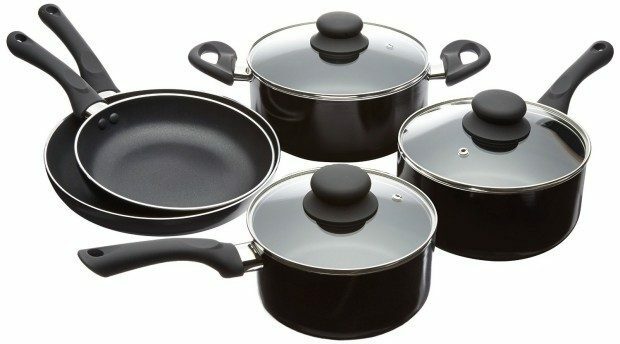 AmazonBasics 8-Piece Nonstick Cookware Set Was $50 Now Just $40.99! You are here: Home / Great Deals / Amazon Deals / AmazonBasics 8-Piece Nonstick Cookware Set Now Just $40.99! AmazonBasics 8-Piece Nonstick Cookware Set Now Just $40.99! Head over to Amazon to order the AmazonBasics 8-Piece Nonstick Cookware Set Was $50 Now Just $40.99! Shipping is FREE! Perfect for a family starting out!